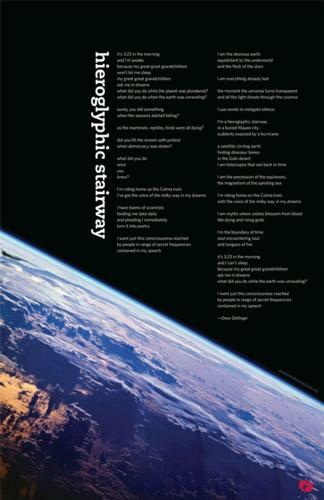 For those awakening to the shaman within/without, and for everybody else, also. Unlike previous threads I have started, this one is intended to focus on anything from baby steps to quantum leaps along the journey to wholeness, with an emphasis on the positive—may it be poignant and funny. Please feel free to post, if you so choose (whether funny, serious, or somewhere in between). Which never move out over the things of the world. or a storm or a great song. *Thanks to all for your support. Special thanks to Carol, because she knew who I am before I did/do. And to mudra, just for being you. It is a blessing to meet you every day. mudra, you are a tough act to follow. But press on I must. I think your post is the entire lesson in a poem. How beautiful. Thanks. Today I spoke with an Arapaho Shaman. 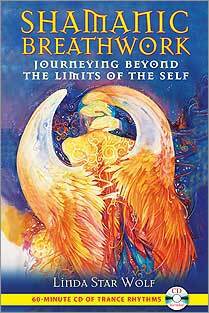 I received a nod of approval for the book on shamanic breathing that I am reading. The following advice: be careful with it, because you get transported to other worlds. The other worlds have bad spirits, too, and they may try to keep you. Do not let them talk you into it. Once, when told that someone would not wake again, the Shaman informed everyone that it was nonsense. A feather was prepared properly and waved over the person, as the Shaman said the person was “just asleep”. After a few waves of the feather, that person came out of their coma. HigherLove wrote: I wonder how the Stockholm Syndrome may apply to Shamans in Peru, who have had ceremonies to bless the royal wedding. It just makes me wonder. In scenes I can only describe as bizarre, the four shamen have been stood dressed in full ceremonial gear on Chorillos beach, in front of a giant photo of “our Wills and Kate”,another of Princess Di, a statue of St Anthony and a black skull, shaking maracas and prayer beads and bringing the full force of Mother Nature to bear on proceedings. “We are doing our bit to make sure there is no divorce, no falling out or accidents, and above all that William and Kate may be blessed by the power of nature”, said Juan Osco, the leader of the group. He added that although the couple were “surrounded by the envy of many”, they shouldn’t worry and that “they’re going to be fine”. A group of Peruvian shamans was also captured by the charm of the British royal wedding. Healers performed a ritual on Wednesday to send their best wishes to Prince William and his fiancee Kate Middleton, who augured much happiness. Three men and a woman ran what they called a ritual or “allowance” of the four elements “water, air, fire and earth” to strengthen the union between William and Kate, who will marry on Friday after years of courtship. Dressed in tunics, ponchos and headbands (headgear Andean style), the shamans shook rattles, swords and branches of a plant known as rough “that is credited with good luck” in front of a large photograph of the prince and his bride, that deposited on the sandy beach of La Herradura, in the Lima district of Chorrillos. “We have contributed our bit for no divorce so there is no enmity, accidents, and especially that (William and Kate) are blessed by the force of nature,” said Juan Osco, the leader of the shamans, told the Television. Osco said that despite some forecasts by which the spouses are separated, they envision that it is a couple who has been born for each other, and will be very happy. Faced with a photograph of Princess Diana, mother of the groom, shamans invoked their spirit to ask her to protect his son. “I will go very well,” said Felix Roldan, another of the shamans who participated in the ceremony, but then added that the couple will be surrounded by the envy. ”That is why Peruvian shamans come to give you good blessings,” he said. As for the Stockholm Syndrome it takes a good three or four days in captivity for a hostage/prisoner (who has been treated kindly as a prisoner) to become enamoured of their captor i.e. likes/dislikes for the psychological conditioning/brainwashing to take place. They seem to be falling away. I am neither Druid nor Shaman. I am Troy/me. I am. I have been wondering why something seems to "fit" me to some degree, only to be discouraged by the things that do not fit. I have been reading StarNinja's posts regarding looking within for answers and not to a guru, and I am increasingly inclined to agree. However, sometimes my higher self directs me to listen to a guru, so looking within can be useful in directing the looking without. Anyhow, shamans performing a blessing for the royal wedding seems so beyond the pale. This has been an amazing training ground. Thanks to all, again. Carol's post about us being kind to one another really resonates with me. So does anybody talking about evil and funny in the same post. Love ya Carol. Thanks!!!!!!!!! have been wondering why something seems to "fit" me to some degree, only to be discouraged by the things that do not fit. I have been reading StarNinja's posts regarding looking within for answers and not to a guru, and I am increasingly inclined to agree. However, sometimes my higher self directs me to listen to a guru, so looking within can be useful in directing the looking without. Well, I can share my experience. One of the most brilliant minds I have ever met was my professor. He is the most open minded psychologist I have ever met. He had been trained by a shaman for 12 years. He experienced separating a walking body from a sleeping body. He said that he started loosing his mind and he stopped. He strongly warned us even thinking about it. He is a man of integrity and as I get to known him I trust him. There is so much we have not been told. I strongly disagree that we need gurus or shaman. I almost fell into the trap of getting my past life blocks removed by a shaman. I don’t know if it was my soul or guardian angle that has protected me. I want to know the truth but I am afraid that I will die not knowing.......But when I look at art, especially, the paintings of mystics painters, I know that we have not been told the truth. Well, I have to trust my soul and release all beliefs I have accepted as the truth. Many call themselves shamans nowadays that are but pale copies of the genuine ones . You'll find the true shamans amongst native tribes as this is rooted in their culture. Thanks, Starninja. I do hear what you are saying. My posts on this forum went up dramatically after my experience with going somewhere else after accidentally hyperventilating. There are moments when it seems other worlds are ready to burst through me. It is difficult to describe. I can see how someone might think they are going mad, because after a tipping point, the experience takes over and directing it is thus far largely out of my control. I'm almost afraid of it. Almost. Even so, I have much respect for the experience. I have also a lot of respect for and interest in your writings, and I truly appreciate you sharing this, as we are all finding our way back to wholeness (or as close as I can get this go around). I will watch all of this, but just wanted to show some love...you always look after people so well. I so appreciate this. Everybody carries with them grains of truth/wisdom, and your words are always a wonderful salve for a strained mind. I also just slept for about five hours, so that may have something to do with it. (Donna sang "White boys" in the German production of "Hair"). Before she was a bad girl, then a saint, again. hehehe ). Thank you. I wouldn’t say that I am looking to find a way to wholeness. I have done my job to grow and I enjoy it now. I view a life as a journey that we need to travel. I would rather say that I am looking for truth. I hear you. Everybody has own experience and I do hope that people will start trusting themselves and get their power back. I see that slowly but steadily people are waking up. Is it the fact that our minds can’t hold illusions for a long time and we start seeing lies and deceptions or something else that speeds up this process? Well, I enjoy the ride, watching how it will unfold. My intuition tells me that we will be witnessing and participating in important events. The amount of lies and deceptions tells that it is a good sign as they don’t have a total control. A dear friend from long ago just found me on facebook. It is a heavenly feeling. I stepped outside to take in the delicious, warm, night air, and who should greet me but "Now" (my owl!). She is hooting to beat the band. She likes clear nights and a bright sky. The whole field is her buffet. HigherLove wrote: A dear friend from long ago just found me on facebook. It is a heavenly feeling. Just remember what the doorman said...keep your head. In gratitude to Gaia for such a nice commute home. olk County, New York. 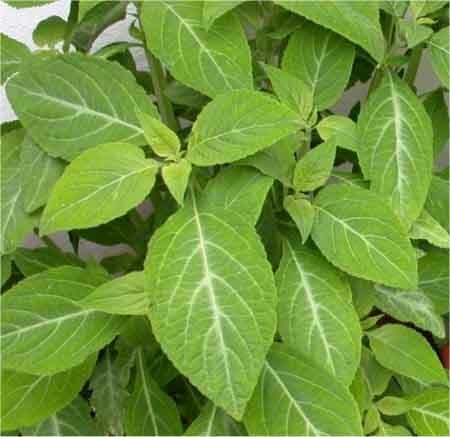 Salvia divinorum is entirely legal in all other states. UPDATES/CURRENT GUIDE AND NEW LAWS: http://sagewisdom.org/usersguide.html AND http://sagewisdom.org/legalstatus. encounters with beings (entities, spirits) or travels to other ages may occur. ers from the \eye candy" closed-eye imagery, of level 3. http://sagewisdom.org/usersguide.pdf and http://sagewisdom.org/usersguide.html. There are lower and higher levels than this. It is legal in California, so it is legal to admit to having it in my possession. However, I am just getting used to having it around. Baby steps. This is not about following a guru or a shaman. It is about being my own guru and shaman. I understand the inherent risks of astral travel at a stage 4 experience, and I am able to accept in theory that higher levels produce feelings of unity consciousness. I do not take it lightly. Do not incriminate yourself in you live in one of the illegal areas. Mods: if this post is too much, please just remove it. I seek truth. I am not trying to be a rebel.